There’ve been some incredible images of the James Webb Space Telescope, the next generation telescope and successor to the Hubble. But we’re not really here to look at images of telescopes. We’re here to learn some dope space stuff. The JWST’s operators at the Space Telescope Science Institute have selected 13 missions as part of their Director’s Discretionary Early Release Science Program, according to a press release. The missions represent over 250 scientists from 18 groups. Perhaps most importantly, the data from these missions will be public. The accepted proposal run the gamut of interesting space science. One hopes to better directly image exoplanets. Another will observe the evolution of the chemistry of ice in star-forming systems. Another will map the surface and atmospheres of Jupiter’s moons Ganymede and Io. Yet another will peer deep into a Seyfert galaxy, the kind with a bright core. But these proposals weren’t selected for the pretty pictures. Instead, they will help scientists better operate the telescope in the future. “There were several criteria that these projects were judged on,” said Sembach. 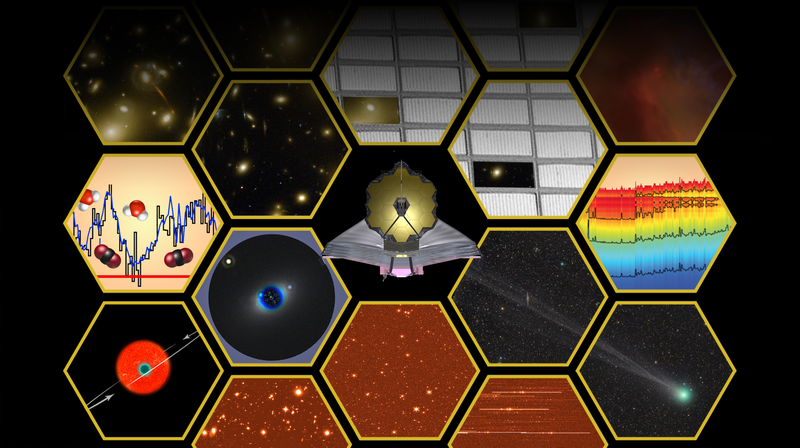 “One was compelling science, the other was to demonstrate the capabilities of the observatory.” In other words, these projects could potentially offer parameters, documentation, and observations that will help scientists use JWST effectively in the future. NASA recently delayed the JWST’s launch, claiming that things were taking longer than previously thought. STSci will issue a call for proposals for its first cycle soon, on top of guaranteed proposals. You can also expect head-turning images, but this time around, the scientists want to show the world what the telescope can really do. Aww Yeah, the James Webb Space Telescope Has Half Its Mirrors!